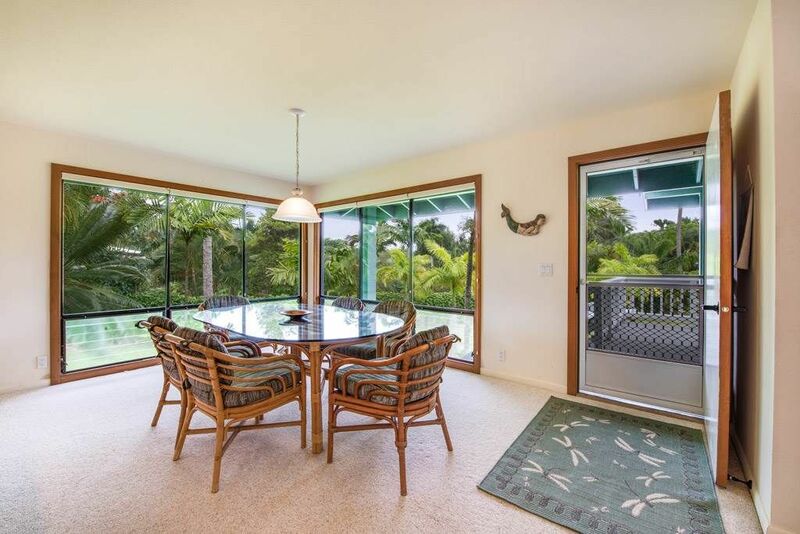 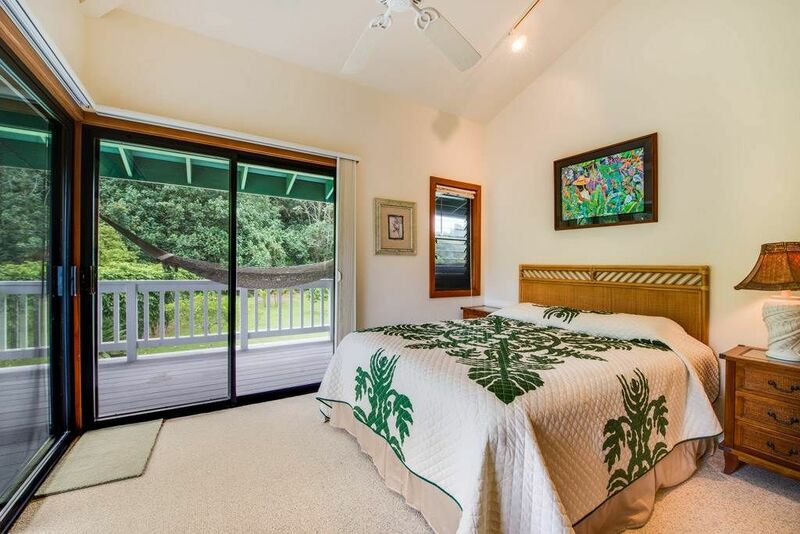 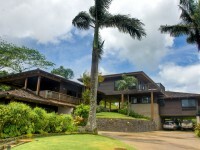 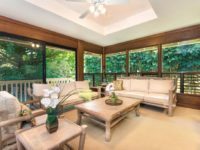 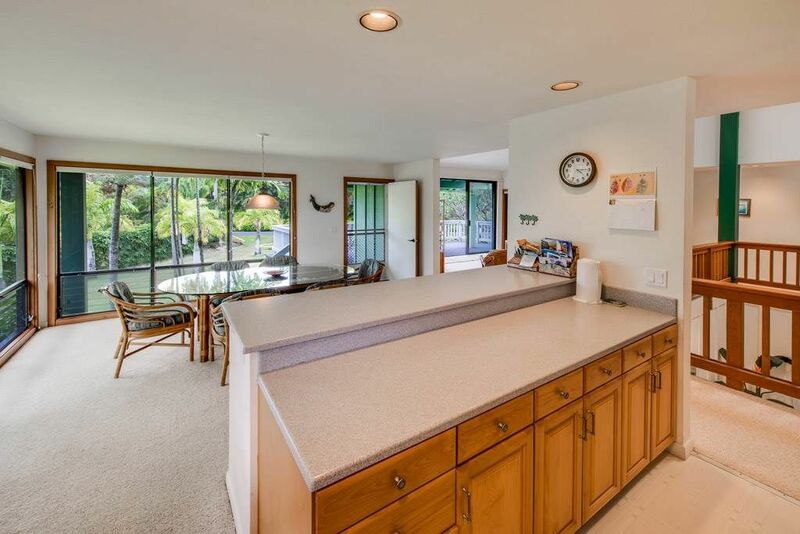 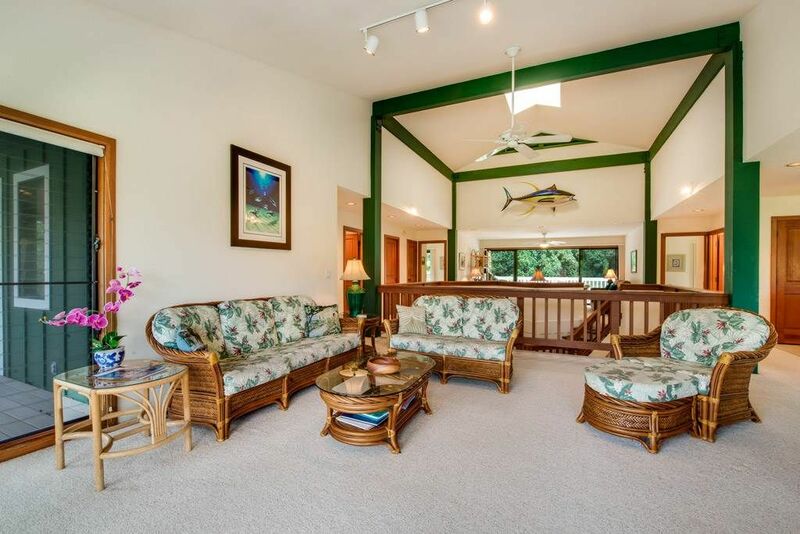 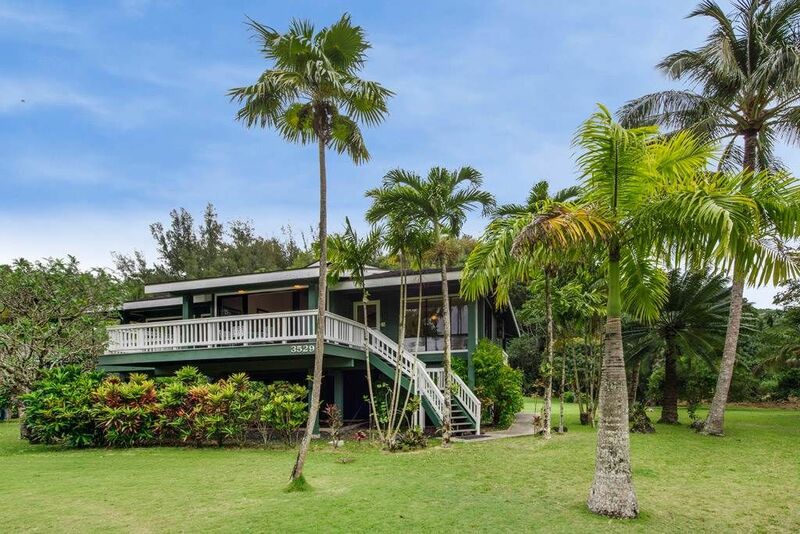 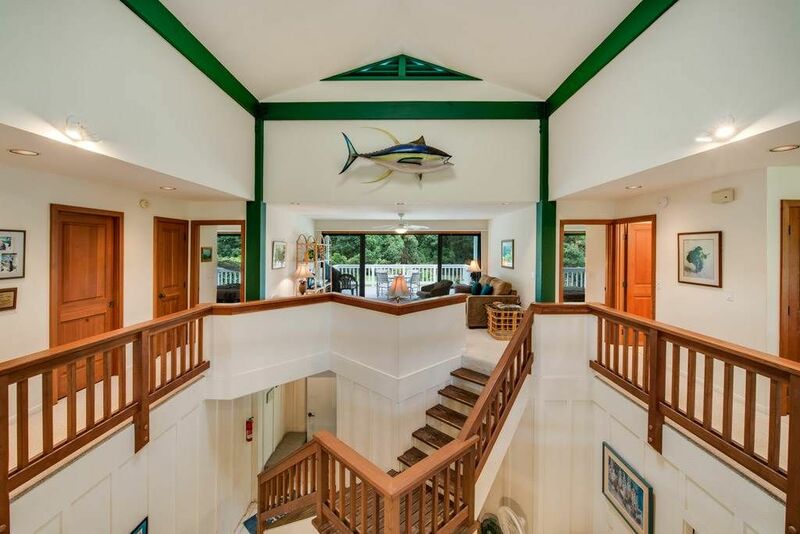 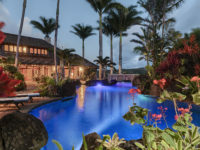 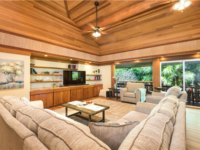 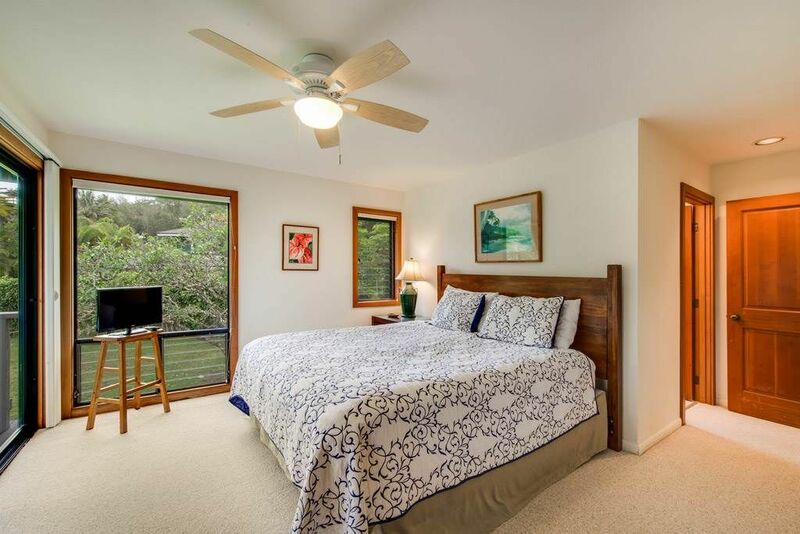 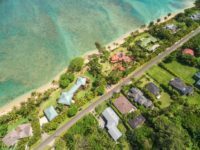 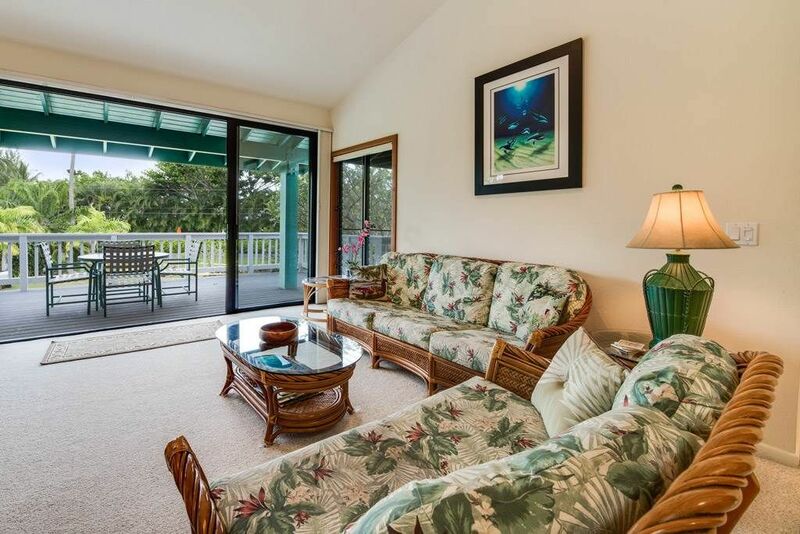 ANINI, KAUAI VACATION RENTAL: This majestic 3 bedroom/3 bath home provides privacy, location, and the highly sought after opportunity of being located on the North Shore of Kauai at Anini Beach. 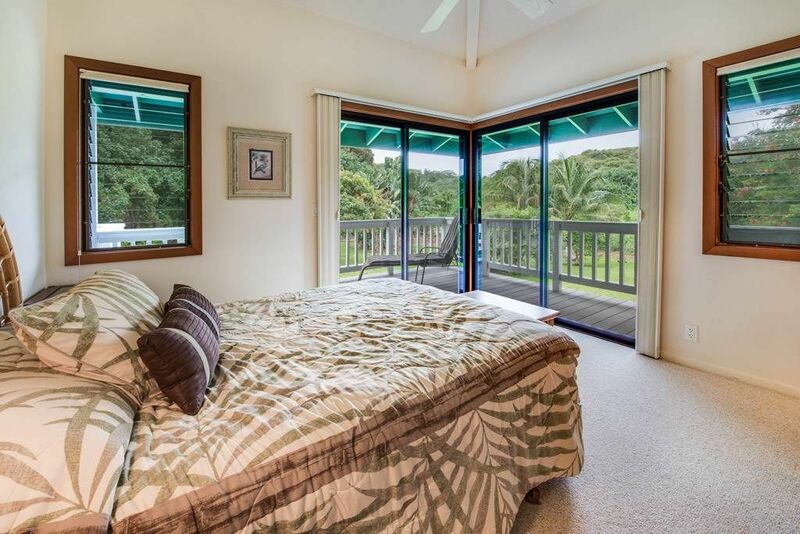 This large home boast three private bedrooms three bathrooms, two living rooms, large wrap around deck with BBQ, outdoor shower, gorgeous views of the mountains and just a short 1 minute walk to Anini Beach. 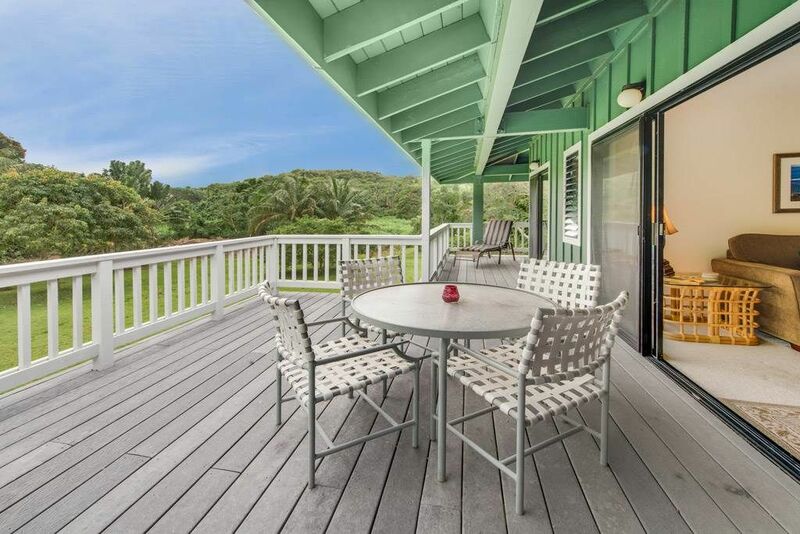 On the outside, explore the tropical landscaping of green grasslands shaded by palm trees, overlooking the ocean. 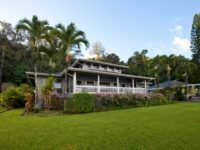 Look out at the mountains, or take a short hike down to Anini Beach. 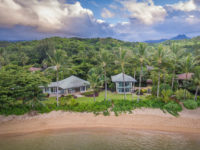 This beach is a perfect spot both for those looking for relaxation, and those looking for adventure. 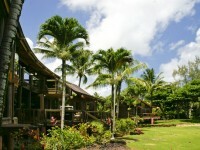 Lie on the sand and soak up the sun, or take to the water to enjoy the surf or world-class snorkeling! 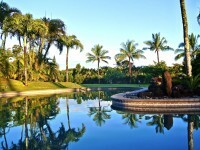 “I really liked this place! 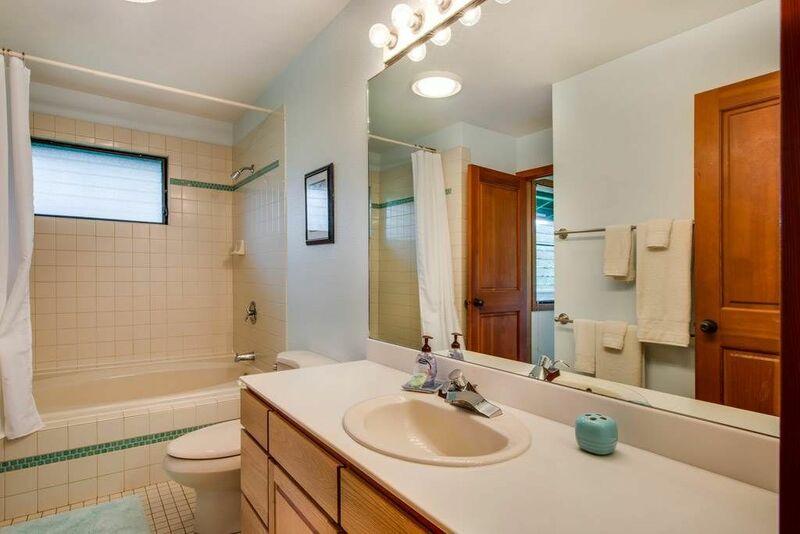 It was very clean and was well cared for. 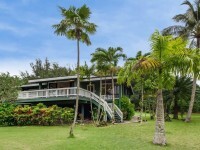 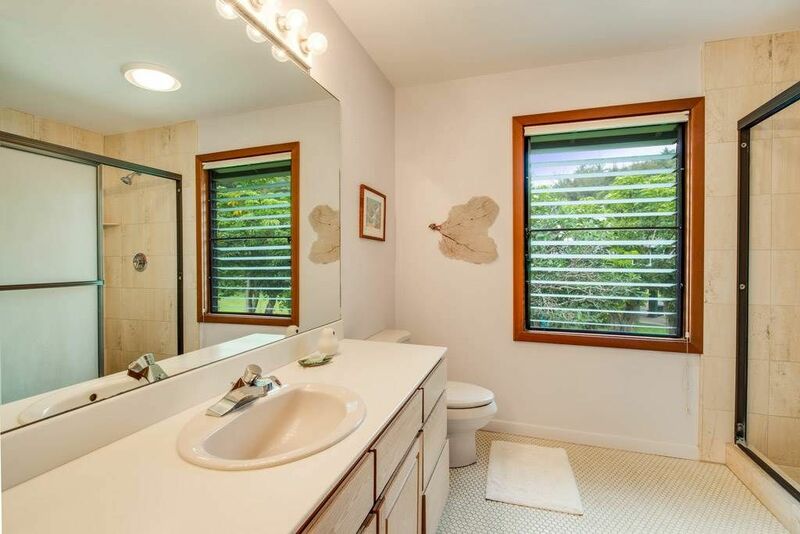 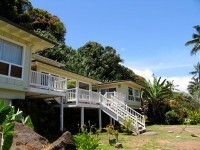 Close to the beach, right across from the path to a quiet beach area on Anini Beach. 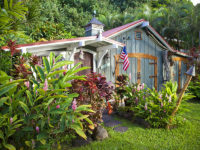 The yard was great. 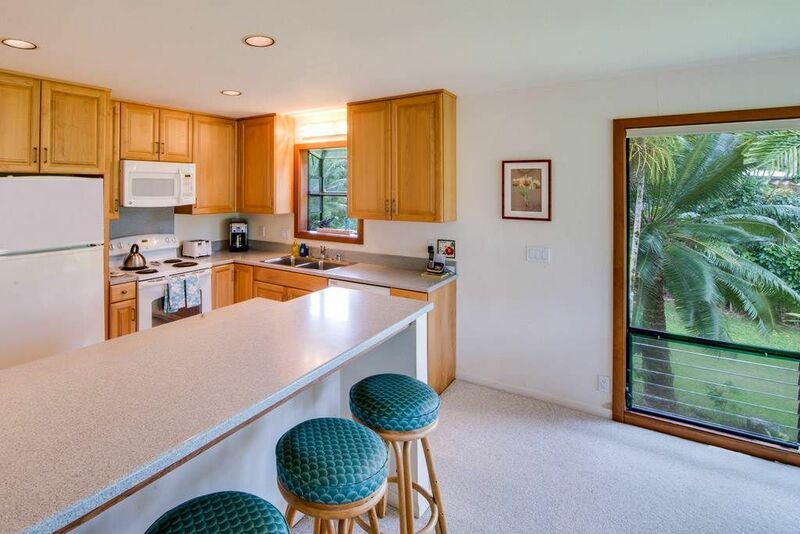 It had a very well stocked kitchen The Management was very easy to work with. 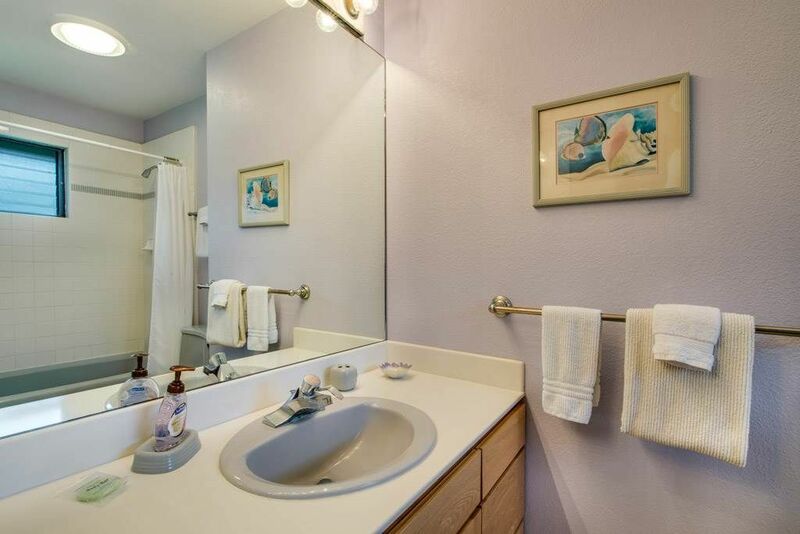 The lay out and amenities were as stated.” March 2016 Regan F.